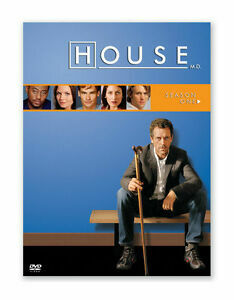 I actually have kept up with House since it first came out, and haven't missed a show yet. Gregory House is a diagnostician (main character)must diagnose patients with a mystery illness and a multitude of symptoms in time to save their life. He has a team that also helps which do practically everything from drawing blood to breaking into patients homes to find out the answer to the riddling questions that basically eats at Dr House. House also has a handicapp in his leg, which he walks with a limp and a cane (might add on the wrong side) and practically uses it as a weapon at times. He has fantastic comments and talks tons of smack, not only to his patients, his team but also his boss! This show is a guarantee to make you laugh, think and maybe even cry, or even become grosses out for the weak at heart people. It just gets better and even more mind boggling how the writers can come up with the twisted stories and even manage to throw in some comedy as well. What's great is to see Hugh Laurie's wonderful acting in this character House due to his beautiful accent does not show a hint in this show, let alone having to walk around with a cane all the time. Wouldn't it be great just to show up to work and never have to shave? The whole drunken, unshaved look does eventually explain itself later, but as a doctor so extremely unexpected! Don't waste your time, this will defintely worth getting for yourself as well as someon for Christmas! I was channel surfing one night during Season 1 and started watching an episode in the middle of the season. From that night on, I've been hooked! Dr. Gregory House (Hugh Laurie) is devoid of bedside manner and wouldn't even talk to his patients if he could get away with it. Dealing with his own constant physical pain, he uses a cane that seems to punctuate his acerbic, brutally honest demeanor. While his behavior can border on antisocial, House is a maverick physician whose unconventional thinking and flawless instincts have afforded him a great deal of respect. An infectious disease specialist, he's a brilliant diagnostician who loves the challenges of the medical puzzles he must solve in order to save lives. This is a great comedy/drama series! This shoe is great. I remember seeing a preview for it and thinking, "it could be good." Later on I caught one episode and I was hooked. I watched all the repeats during the summer, and bought Season One as soon as it came out. The cast is amazing. All with their special talents. Hugh Laurie, who does a great American accent is superb. Playing House, a pretty much anti-social diagnostic doctor, he drives everyone insane and hit all the buttons. Of course, he always comes though in the end. The rest of the cast follows Laurie with their own talents. Each gives their input to House, whether he wants it or not. Sometimes they strike nerves with him, but it all helps in the end. The final episode of the season caps off every one's feelings, and then showing House has a very personal side to his character. All and all, the first season marks a great one with many to follow.